December 8, 2017 December 8, 2017 Pesso's IcesLeave a Comment on Stracciatella Gelato is back! It’s a sweet Vanilla Gelato with rich Chocolate Shavings mixed through. Get it while it lasts! Stracciatella Gelato is back! It’s a sweet Vanilla Gelato with rich Chocolate Shavings mixed through. Get it while it lasts! Next We’re Open! 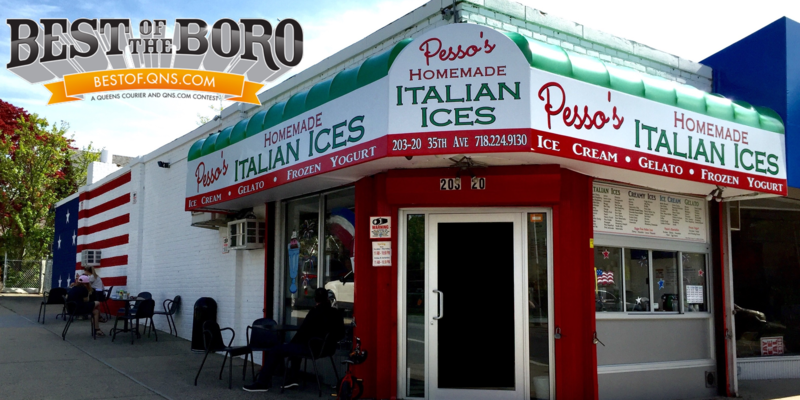 It may be snowing but Pesso’s is still Scooping! ❄️🍨 Swing by for your favorite homemade Ice Cream and Ices, or get them delivered through our website!